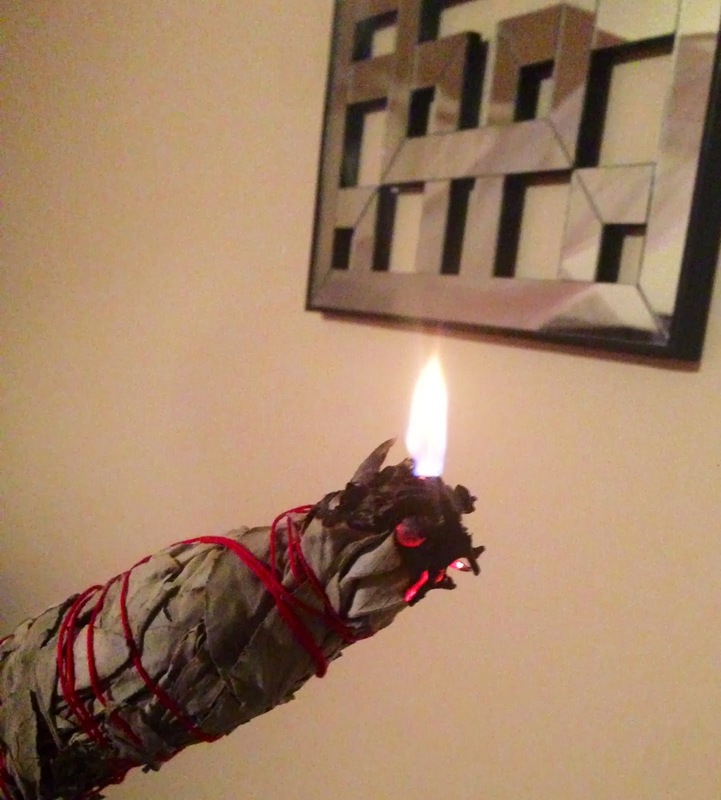 I picked up some white sage in Little Ethiopia over the weekend with the intention of trying smudging for the first time. I'd stumbled across a video of someone doing it before and it piqued my interest enough to dig into the background of the practice. 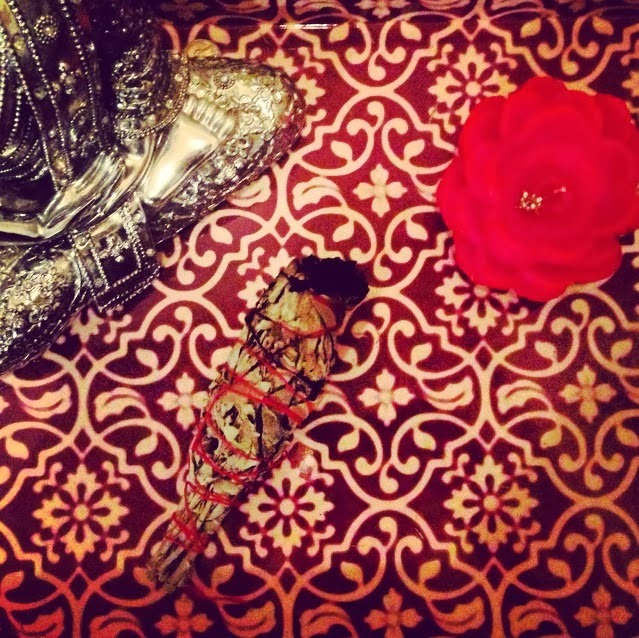 Smudging is the act, (sometimes referred to as a ceremony or ritual), of burning herbs for cleansing, protection of physical and spiritual bodies and banishment of negative energies. The above picture is of a smudge stick, or a bundle of herbs tied together for easier handling. I cleaned my space, turned on a little meditation music (my favorite below, to get myself in the right mindset) and lit the stick at one end. After lighting, you're supposed to extinguish the flame just enough to let it smolder, (there will be a thick smoke emanating from it) while allowing the smoke to cover every corner of the area that you want to cleanse/ protect. You can also use it on yourself if you feel that your spirit needs healing. Once you're satisfied that you've touched on every corner of your home and/or space it is said that you are to open all doors and windows to release the negative/ stagnant energy. Put the stick out by running it under cool water and storing it until the next use.